WhosOnLocation provides people presence management software that monitors the safe and secure movement of people through buildings and work sites. Our powerful, cloud-based solution unites visitor, contractor, employee, and emergency management, enabling organizations to secure their facilities and ensure the safety of every person on-site. The cloud-based sign in / out system is very simple to use, the RFID readers link to our existing security cards so workers can "tap" in or out at multiple locations with ease. This system replaced the old whiteboard sign in out for workers/paper sign in for visitors. It has made it easier for workers to acknoweldge they are onsite, visitors can put in the name of who they are visiting and the system sends that person an email or text message nofiying them that a visitor is waiting for them. The Whos-On-Location system also allows for a simple induction to be completed by the visitors which can be used to detail where emergency evacuation points are and what to do in the event of an emergency. We use whose On Location to track employees onsite in the event of an emergency, the accompanying mobile app makes the coordination of wardens and checking off workers present at muster points very easy. The mobile sign in / out is great for the select employees who have been given access, they can use this system if they have forgotten to sign in or out at the start or end of the day. "Easy application to use and implement"
I have implementation this system into two businesses, one with a single location and one with multiple locations. It is easy and straight forward to set up and for everyone to use. Everything has been thought of and, for met at least, updates happen seamlessly. We don't have the need currently to use all of the features but we know it has the capacity to grow with us if needed. We are not an overly busy location so not to many headaches for me. Printing was a bit tricky to set up, particularly having to download a supporting application then a couple of months in that had a update which was missed. If you need visitor to wear a name tag this can be tricky until it is sorted. Trail this application/programme/system you have nothing to lose. It is easy to set up, easy to use and edit. Paper sign in copies have disappeared, which is an improvement on confidentiality. When visitors walk in now they know exactly what to do, we don't have a formal reception and don't employ a receptionist or admin staff. Email notifications are great - our managers now when someone has arrived for them. Everything flows nicely. What Visitor Management solution do you use? Its easy to use with a good feature set. Development is happening all the time. API doesn't expose as much as I'd like for some integration. We use Who's On Location to sign staff and visitors into our regional offices, as well as replacing the paper sign in sheets on most of our large construction sites so we can track contractors, staff and visitors on site. This helps us manage our Health and Safety requirements and, using the WOL Evac app, we can verify everyone is safe in the event of an evacuation. I have found the product easy to set up and configure and the Project Managers like the reports that can be produced from the system. We're a small office with no reception. A small investment in an iPad and the WOL software allows us to operate without a dedicated receptionist, but manage all our staffs' visitors with no hassles. Any changes are easy to make and the support from the WOL team is excellent. Our experience with this product over the four plus years since we first installed it has been great. We've experienced no issues and it is very easy to use. Whenever we've wanted to make changes ,but have been unsure on how to go about this , the support has been excellent and the response time is really quick. It manages our visitors seamlessly and also is a great tool to meet our health and safety requirements in times of evacuations ( both real and practised). For visitors it is quite intuitive and gives them reassurance that they are in the right place ,once they have easily booked themselves in. Thank you or taking the time to review WhosOnLocation Kevin. The team are thrilled to hear such good feedback, and we’re proud to be one of the leading software's for people presence management. Evacuation management is the main reason we needed a visitor management system and WhosOnLocation delivers the most robust and reliable evac system we could find. Additionally they work with a variety of hardware that makes use at our unique facility very smooth. No dislikes but there are a few features I'm hoping they will soon add such as configurable sounds on sign in/out and sign in/out manager on iPad. There are so many useful features in WOL that you cant get an understanding of without using their trial and digging into the software. The more we played with it the more features of it we decided to use. Keeping accurate track of who is on site at all times for potential evacuation management - this is made easy and requires minimal effort by persons entering the site. The evacuation process on multiple employees mobile phones is excellent. I didn't expect anything this solid and usable would be available. Tracking contractor hours - simple way to verify invoices match real on-site times. Visitor on-boarding - We keep track of safety briefings and NDAs in the system in much simpler ways than other products that were made for these purposes. Thanks for the review. We have passed your feedback on configurable sounds to our Development Team. "This is a very comprehensive and customizable product." We were looking for a solution to track attendance for students that are allowed to leave school during lunch and then to check them back in. Whosonlocation was just the right tool to handle our specific requirements. The support has been fantastic too. I really cannot think of anything I dislike about the product. In fact, there are a lot of features that we aren't even taking advantage of and I need to start thinking of ways to incorporate those features. I did quite a bit of research when looking for a solution to deal with our needs. Whosonlocation was the most flexible, customizable solution available. The support, especially when I was evaluating the product, was exceptional. We had a few specific requirements and support was able to help incorporate those needs into the product. We've been extremely pleased with the result. While Whosonlocation is geared more towards employee/contractor tracking, we found that this tool was suitable for students in our high school as well. I love the customer service and support we have received. Each time a small issue has arrived it has been promptly fixed or a solution has been offered. Staff have been knowledgeable and helpful! Can we say nothing? This has been such a seamless tool for us to implement with uses spanning across our entire organisation. Other staff are asking me how they can use it in their work as well. We are now able to accurately record visitors and are more in line with emergency procedures. We have just started to use the assets feature which is helping us record asset movements. We would really love to see email alerts and reminders introduced to the asset area. Brittney, thanks so much for taking the time to write a review. Our team works extremely hard to offer the best customer experience and I am pleased that this was reflected in your personal experience. I will pass your review and feedback on the feature to the team. "Excellent application for Visitor registration"
Fairly easy to use, quick and excellent support staff, easy to follow documentation from the helpdesk. Being able to keep track who is coming onto our location, allowing us to ensure that their safety is adhered to, and ensuring they have the proper training and EQ to work on the floor. Strong tracking of any person at a location, and allows us to quickly evacuate in case of emergency. "Excellent Product and makes difference to business"
Value for money product. The team is very helpful throughout the implementation... Always updating with new features. They are open to suggestions and customisation as per your business needs. There is really nothing to dislike as the product is very good. If you have reception and wan't to impress your visitors with Kiosk. This is the best cost effective product available in market. It has all the features you need and more. Just ask for the features you want to customise for your company and they will develope for you. We are currently using this product for tracking our visitors/temp staff/vendors. Thanks for reviewing WhosOnLocation Omkar. I will pass on your positive feedback to our customer support and development teams. From the initial set up, to the day to day use of this product, it is so easy to use and looks great. The staff are all excellent, so supportive and willing to take time out of their day to help. Staff are also willing to take on-board new ideas when it comes to future updates. There is nothing that I dislike about this system. I use "Who's On Location" for Contractor/Visitor management and Asset Management and Reporting. Prior to implementing this system, the above meant a lot of paperwork not only for myself but for our visitors and service providers. This system allows me to concentrate on other aspects of my role, whilst knowing that we remain compliant when it comes to our Contractors/Visitors. Really like the way we were able to integrate our own clock in system through the easy to use API. Support has been good with suggestions for improvement being acted upon quickly and providing functionality requested. Would be nice if the standard app was able to show whosonlocation at the moment rather than a separate web based app. The app currently just lets a user clock in/out. Knowing when staff arrived on site and being able to report on this. "Great experience from set up to working with every day"
Lack of automated reports. I would like to be able to generate people presence reports for each of my departments and have them automatically send to each head of department on a routine basis. Ensure the software can do everything you need it to and complete a thorough trial period before committing. The help team are fantastic and always happy to help so use them as part of the decision making process. Thanks for taking the time to review WhosOnLocation. I have checked with our Development Team and automated reporting is on our roadmap, keep an eye out for it in the near future. "Fantastic Application makes signing in easy"
I like the ability to have our H&S requirements outlined to all visitors as soon as they sign in enabling us to just supervise them whilst on site. The application makes visitor management incredibly easy. Initially the set up was a little daunting until I started doing it and then it was very easy. A lot of my clients utilise this product and I have recommended it to others for its comprehensive application. visitor management and H&S requirements. Digital sign in system, that has effectively removed the paper log book, and not required to have full desk coverage when visitors register to see someone, and the Helpdesk is very supportive and responds immediately with any queries. No dislikes, everyone pleased with the system. Able to do an online induction for new staff and reminder site for when certificates are expiring. "W.O.L. is very helpful for our busy, growing business!" We love the feature of someone signing in for an employee, and that employee receiving a notification via email, text, or both. The only downside is when customers sign an NDA and can't see the signing box very well. Signatures don't turn out the best with the touchscreen. Employees are immediately aware of when a customer or visitor is here to see them, and NDA's are signed right during the sign in process. It also allows for some safety questions to be answered in case of an evacuation or emergency. "Fantastic service and customer experience"
"WOL is good software "
easy to adapt and simple use, visitor login without any help and gives mail on visitor arrival. little complicated in set up. but with support of WOL team its done. "Effective Product to Manage Visitors"
Try it you will not regret it. "Very Useful App for Managing Kiosks"
Easy process for Visitors to Signing in and out. Managing Visitors onsite. Easy managing signing and Signout for all visitors. Thanks for taking the time to review WhosOnLocation. I am not sure what type of barcode scanner you are looking to set up. As a starting point here is a link to the hardware we support https://helpdesk.whosonlocation.com/hc/en-us/articles/221960168-Hardware-Options#%E2%80%9CScanners%E2%80%9D. Motorola DS - Thanks for taking the time to review WhosOnLocation. I am not sure what type of barcode scanner you are looking to set up. As a starting point here is a link to the hardware we support https://helpdesk.whosonlocation.com/hc/en-us/articles/221960168-Hardware-Options#%E2%80%9CScanners%E2%80%9D. If you have another questions regarding barcode scanning please contact our Support Team helpdesk@whosonlocation.com. How flexible it is. Ease of downloading photos. We cannot seem to manage the same group of employees from two locations very well. * We monitor all WhosOnLocation reviews to prevent fraudulent reviews and keep review quality high. We do not post reviews by company employees or direct competitors. Validated reviews require the user to submit a screenshot of the product containing their user ID, in order to verify a user is an actual user of the product. Hi there! 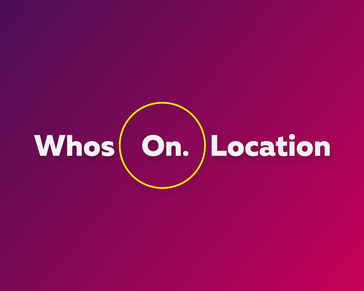 Are you looking to implement a solution like WhosOnLocation?